Poly Trolley 114 L is a sturdy and spacious suitcase from Arctic Tern. The suitcase is made of durable polypropylene. Integrated TSA combination lock keeps the thiefs away and together with 4 double wheels and telescopic handle with two different positions will it be easy to transport the bag. Internal there are soft lining, packing divider with zip, mesh pocket and adjustable cross straps. 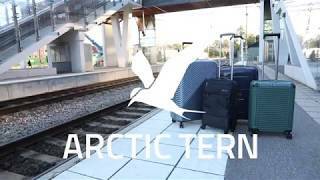 Arctic Tern is a brand for travellers and commuters. Here you will find equipment for smarter trips and adventures. Arctic Tern – Travel Essentials are sold exclusively at Outnorth.